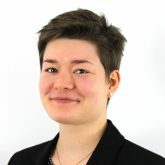 Ms. Larissa Stünkel is currently interning with ISDP’s Stockholm Japan Center. Ms. Stünkel holds a master’s degree in Asian Studies which she attained from Lund University (Sweden) in late 2018. Her course included an exchange semester at Ewha Womans University in Seoul where she focused on security and development studies. She conducted field work at Waseda University in Tokyo and her thesis assessed recent changes in Japan’s security policy under Prime Minster Shinzo Abe. Ms. Stünkel also has a bachelor’s degree in International Studies from Leiden University (the Netherlands), where she specialized in East Asian regional affairs and spent a semester at Kanazawa University in Japan. Ms. Stünkel’s research interests include Japan’s foreign and security policy priorities, national security challenges, as well as regional security cooperation in North East Asia.